WASHINGTON—Polling that shows Americans favor women in combat by 2-to-1 is evidence only of the power of misinformation. Arguments favoring women in direct combat are perhaps well-intentioned, focusing on fairness, opportunity and pride in certain women’s abilities. Unfortunately, most people who make those arguments are operating on false assumptions. And, shall we say, mis-truths. It’s not their fault. For the past several decades, the media and popular culture have relentlessly advanced the fantasy narrative of women as groin-kicking, martial-arts divas of doom. Where are all the brave men and women who know better? Would that Congress could stop preening for cameras long enough to examine the issue more closely. Democrats may be merely falling in line with their commander in chief, but Republicans seem to be suffering Stockholm syndrome. They’ve been slapped around for so long, they’ve become sympathetic to their captors. The two most popular arguments for inclusion of women in combat would be valid if only they weren’t incorrect. They are: (1) Only qualified women will be included in combat units; (2) We have a volunteer military and, therefore, only those who want to serve in combat will. It is certainly true that some women are more fit than some men, but it is also true that most aren’t as capable of becoming as strong as most men. As I’ve written before, women have just about half the upper body strength as men, which is serious business when you’re hiking with a 65-pound (and often heavier) load on your back or hoisting a wounded comrade. It is no coincidence that stress fractures are significantly higher among female recruits than among males during basic training. That our Congress is accepting this change without any debate isn’t progress. Translation: If women can’t meet the standards, we’ll just “gender-norm” them. As to whether this is good for our military effectiveness, one can only hope that our enemies are of like mind. One rather doubts it. Similarly, there could be no excluding women should a military draft be reinstated. This is unlikely in the near future—Rep. Charles Rangel’s regular call for a mandatory draft notwithstanding. Baby boomers who recall the Vietnam draft likely would protest. But others with dimmer memories—or a younger generation that has been marinated in the anything-boys-can-do-girls-can-do-better dogma of feminist wishful thinking—might find a draft more ... egalitarian. Indeed, it would be. Once women are placed in direct combat roles (as opposed to finding themselves in a combat arena), there may be no justification for excluding them from registering for the Selective Service. The argument against drafting women was always predicated in part upon women’s exclusion from combat. Women have performed admirably throughout history in a variety of roles that have included combat situations, which is not the same as directly engaging an enemy. But there are other ways to promote women without pitting them against men, who, if women are given special treatment, will resent them to the endangerment of all. That our Congress is accepting this change without any debate isn’t progress. It is a dereliction of duty and, one is tempted to say, suggestive of cowardice. 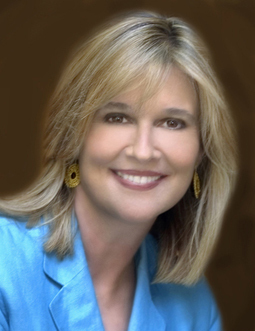 Kathleen Parker's e-mail address is kparker@kparker.com. (c) 2012, Washington Post Writers Group.